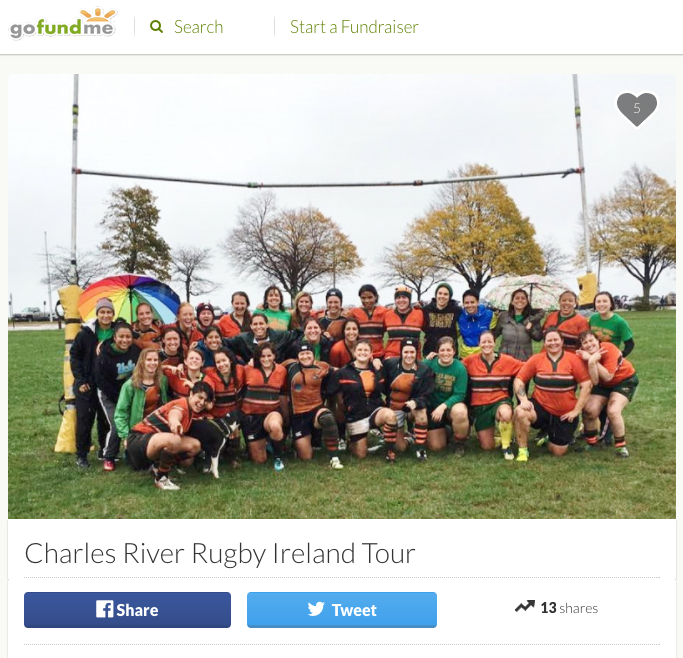 Support CRWRFC GoFundMe for Ireland tour! The mighty Lady Rats are taking our first international tour this August to Ireland to watch the 2017 Women’s Rugby World Cup! We’ll be playing against and training with local Irish teams as well as attending World Cup matches. This amazing trip was helped put together by our sponsors at GoPlay Sports Tours!! In order to help every last Rat gets across the ocean on this once-in-a-lifetime trip, we’ve set up a GoFundMe page. Any donation is appreciated and we would be beyond grateful for your support in helping us make this tour happen! Another Rainy NERFU in the Books!